Because “our lives are garbage and it’s the world’s fault,” watch the official trailer for the second season of the Difficult People TV show. Season two premieres on Hulu, Tuesday, July 12, 2016. The trailer includes a quick cameo by Hamilton‘s Lin-Manuel Miranda, as well as scenes with Nathan Lane and Fred Armisen. Creator Julia Klausner stars with Billy on the Street host Billy Eichner. The Venture Bros‘ James Urbaniak recurs, as do Gabourey Sidibe, Cole Escola, and Derrick Baskin. The Difficult People TV series is executive produced by Klausner, Tony Hernandez, Amy Poehler, Scott King, and Dave Becky. A single-cam comedy, the Difficult People TV series follows comedian best friends, Julie Kessler (Julie Klausner) and Billy Epstein (Billy Eichner) who are trying to make it in New York City. They hate everyone — except each other. James Urbaniak plays Arthur Tack, Julie’s boyfriend. 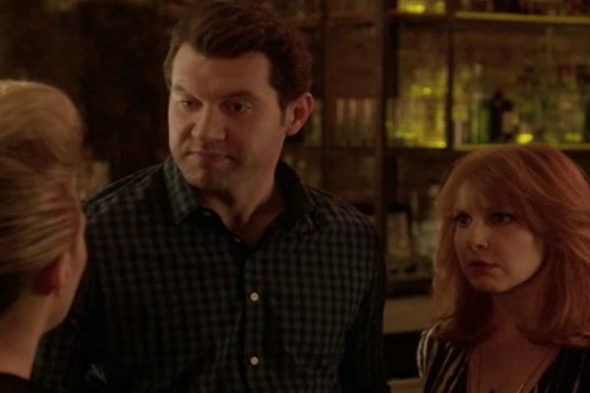 Watch the Difficult People season two trailer. What do you think? Did you watch the first season of the Difficult People TV series? Do you plan to stream the second season on Hulu? Tell us! More about: Difficult People, Difficult People: canceled or renewed?, Hulu TV shows: canceled or renewed?